Need help? How to choose the best protective clothing? Protective clothing comes in many different forms and is designed to shield workers from a range of risks. 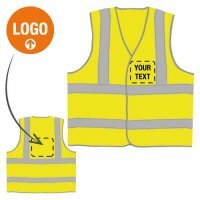 We stock an extensive variety of products that enable employees to work safely and effectively, including high-visibility clothing, heat and flame-resistant clothing and chemical-resistant clothing. In different environments and industries, employees will face varied risks on a regular basis, so it is essential that the type of protective clothing they are wearing is appropriate. This can be used in conjunction with other protective equipment, including head protection, to provide all-round protection for workers. Depending on the individual circumstances, protective clothing can cover several areas, but the main element to bear in mind is that this is not the same as standard uniform or an employee’s own clothes. These have not been designed specifically to minimise the risk of injuries, and they won’t adequately protect workers. Protective clothing also doesn’t refer to items designed for food hygiene reasons or clothes used when riding a cycle or motorbike, or for competitive sports. Why is protective clothing necessary? 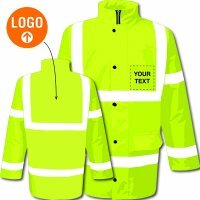 Protective clothing, such as high-visibility items, should not be the main way of keeping workers safe, but rather as a last resort, where all the appropriate measures have been taken to minimise the hazards but the environment cannot be made completely safe. This means the correct use of protective clothing is vital, as when it’s called into play, all the other safety measures are likely to have failed. There are various forms of protective clothing that are all designed for specific situations and to protect workers against different threats. 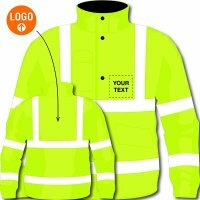 On construction sites or road maintenance projects, high-visibility clothing is a vital part of a worker’s uniform. This not only allows them to be seen clearly at all times, but can also feature other safety components, such as providing body protection from stab risks, water resistance for all-year-round protection, and fleece linings to keep workers warm. In some circumstances, heat and flame-resistant clothing is crucial to reduce the likelihood of injuries from heat hazards. These are essential for workers in industries such as welding, where they work regularly at extremely high temperatures. Chemical-resistant clothing is also available, including coveralls, boiler suits, aprons and jackets, to give all-over body protection from a variety of elements. As an employer, it is essential to select the right type of protective clothing for your employees as this could prevent them from suffering a serious or fatal injury when they are carrying out their work. The best way to assess the protective clothing that you need is to understand the health and safety threats that are present in your workplace and then work on ways to minimise these through the clothing. When you’re researching the best protective clothing, there are several factors that need to be considered, including the comfort of the products, such as the issues of sweat and movement restrictions, and the ease and cost of cleaning the items. You also need to understand how much hygiene control is necessary and the amount of personal contamination protection that is required. The personal preference of workers is also a critical component, as they need to feel comfortable in the clothing if they're required to wear it all the time. How is protective clothing maintained? This will depend on the type of clothing, how it is used and where it is stored. You should always ensure that the specific directions are followed in terms of usage and cleaning and that any repairs or necessary replacements are carried out or obtained quickly and correctly. When is flame-resistant clothing necessary? Those workers who operate in hazardous conditions where there is the risk of electric arc, flash fires or combustible dust explosions should use the appropriate fire resistant clothing. Is training needed for protective clothing? Where it’s necessary to provide workers with protective clothing, they must be told of the risks that are present and how they are being protected against them. They need to be shown how to use, wear and maintain the clothing so that it protects them properly. When should clothing be replaced? The lifespan of protective clothing will largely depend on how regularly it is used, how it is stored, and if any damage is caused to it. It’s important to follow the manufacturer’s guidelines when determining if a product needs replacing due to damage or deterioration.